I am in New York after a marathon flight from Sydney to Dallas then through to New York. It was a long journey. 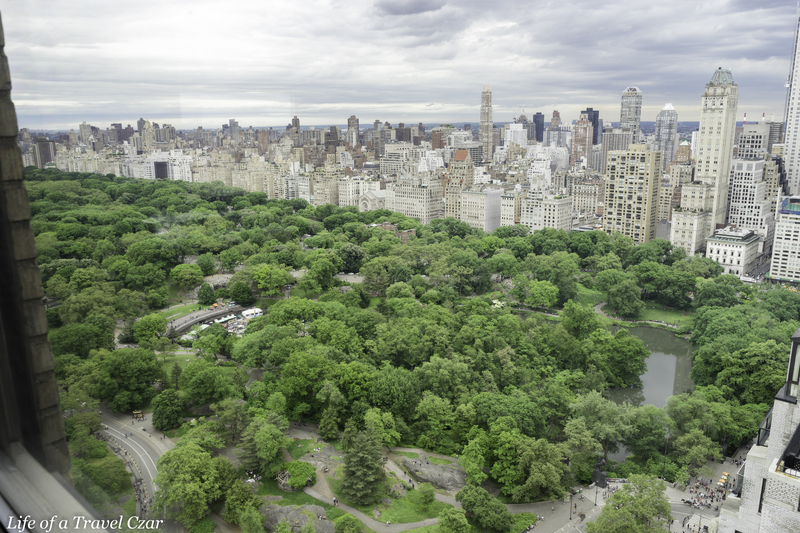 I am staying at the JW Marriott Essex House and its a beautiful hotel located right next to Central Park and in close proximity to some of the amazing dining establishments which New York has to offer. 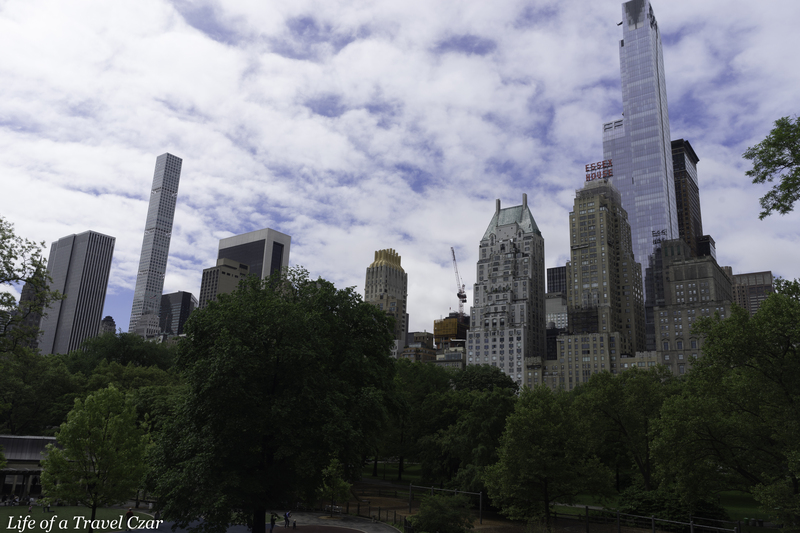 Here is a snap of the hotel from my morning walk through Central Park. 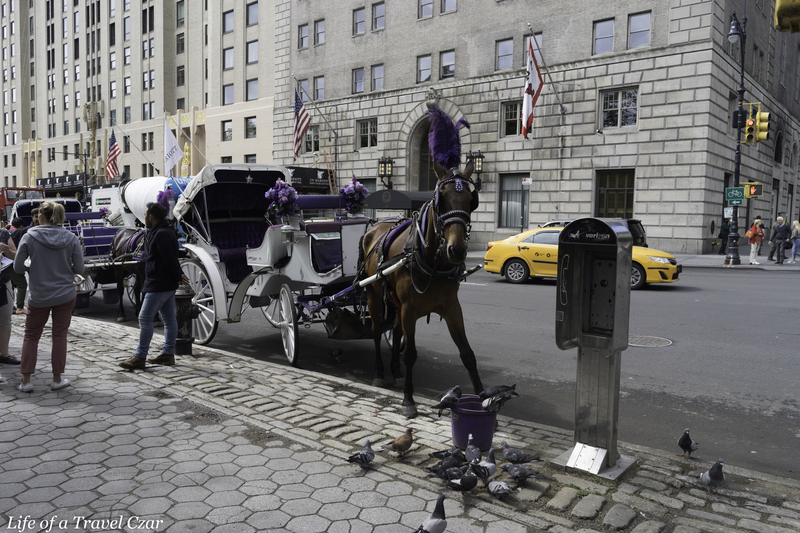 The front of the hotel which faces Central Park has a few horse carriages which are available for tours. 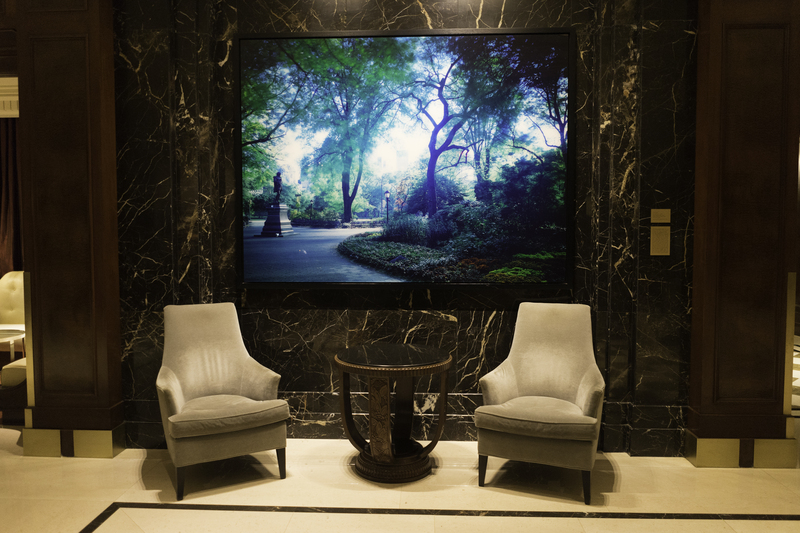 The lobby has a beautiful marble facade with plush sofas and beautiful photographic art which adorn the walls. The rooms are quite spacious, although there is a bit of a dated feel to the room (notably the carpets). The furniture and bedding is quite plush and comfortable. The rooms have the usual hotel chain amenities, bath products are from Aromatherapy and superfast Wifi is offered complimentary to Marriott Reward Gold members and above. The executive lounge is quite beautiful from an aesthetics perspective. 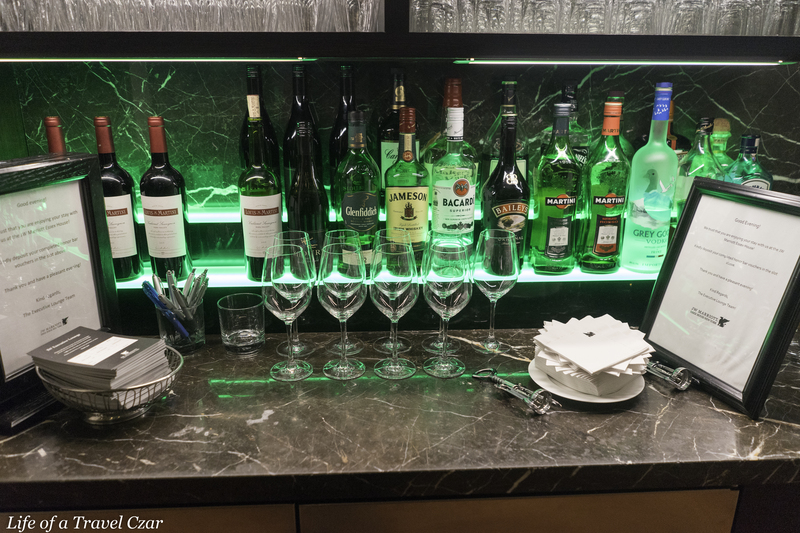 There is an honor bar (which requires payment for alcoholic drinks) which does lag the offerings typically found in other hotels with Executive Lounges. 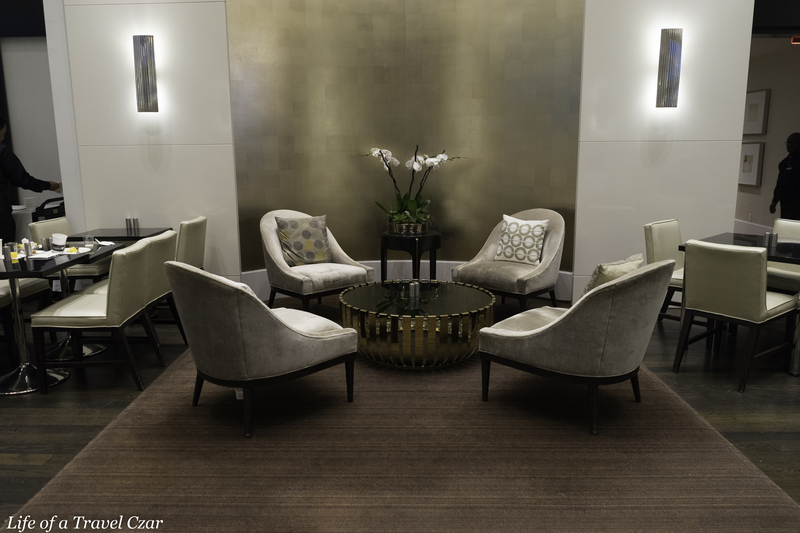 As a general rule, the Executive Lounge offerings in the USA fall well short of those in Asia or Europe by same hotels. Evening food offerings are quite standard with dips, cheese and crackers offered. There is a main dish (paella or chicken on the days I visited the lounge) with roast potatoes on the side. Again it not as extensive a selection as other lounges I have been to. 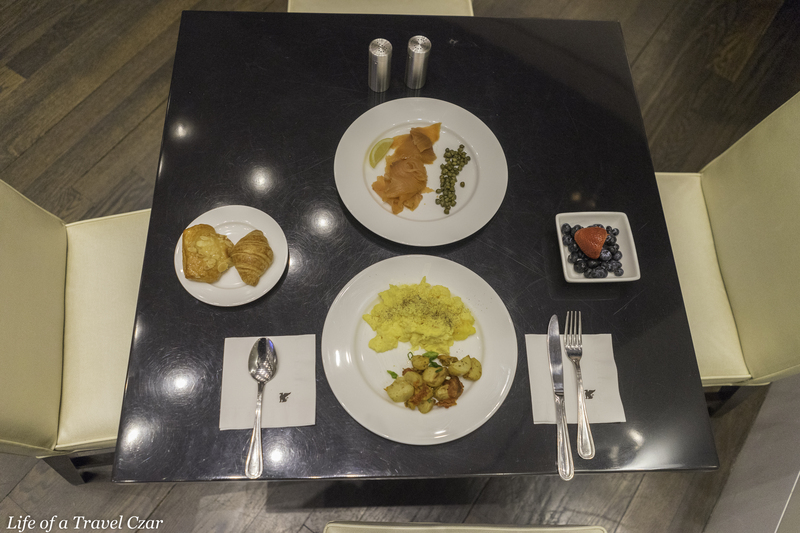 The breakfast offerings are more varied. There are plenty of pastries, cold cuts, hot dishes, such as scrambled eggs, bacon, sausages and waffles plus a good selection of fresh fruits. 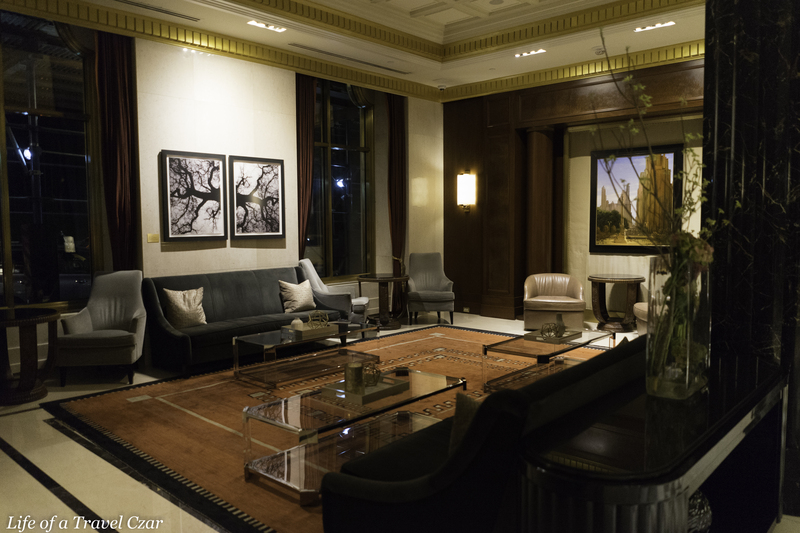 On the whole the Executive Lounge staff are very friendly, attentive and go out of their way to assist all guests wherever possible. 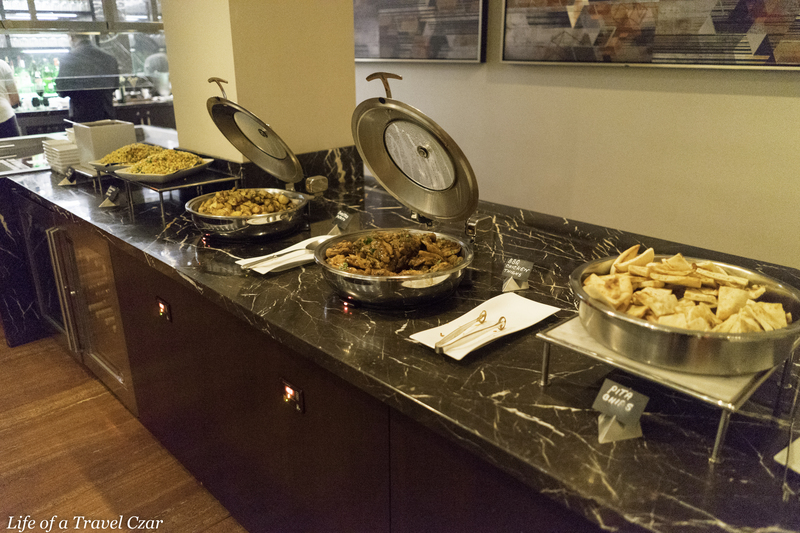 It’s worth noting that notwithstanding my comments on the lounge, Marriott is far more generous with their lounge access with even Gold members being offered complimentary access, something which Hilton for example doesn’t offer. 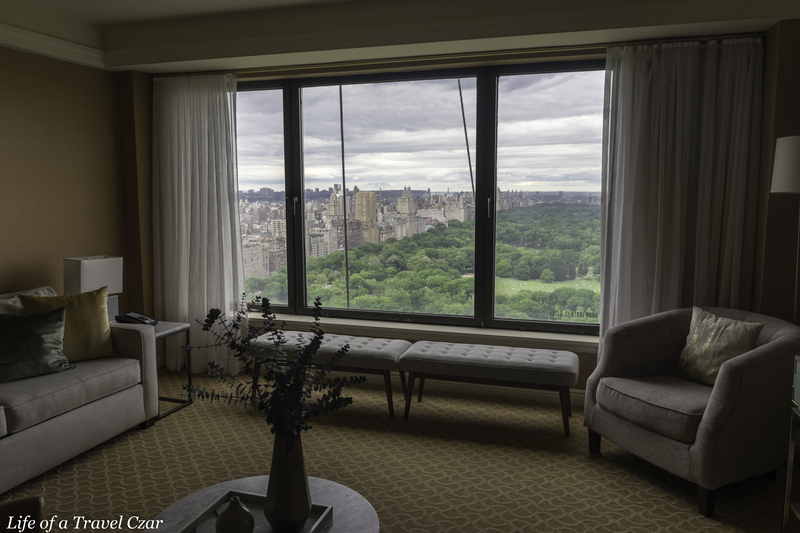 The JW Marriott Essex House is a lovely hotel and its key benefit (apart from the amazing views and beautiful lobby) is that it is very central and the location affords you a few extra lazy hours of sleep in the morning as it doesn’t take too long for you head into midtown for that business meeting or across the city for a leisurely lunch. 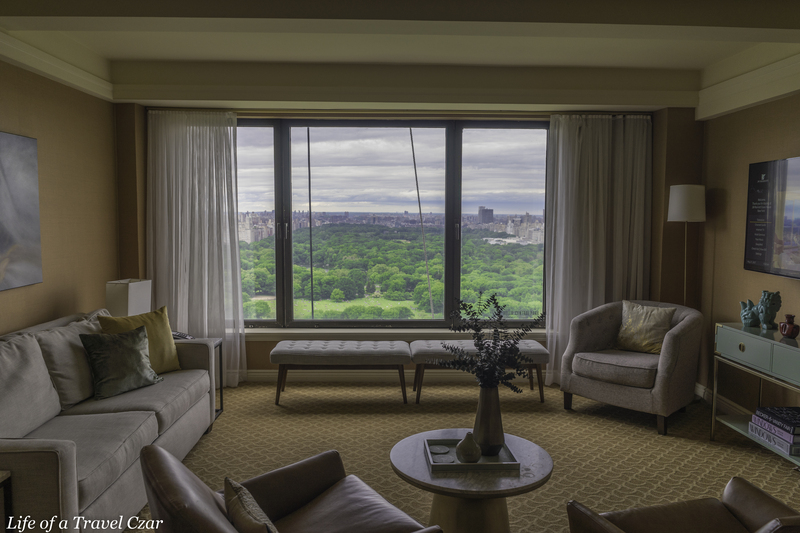 That room looks great, but the views…wow!